Keeping your automobiles out of the harsh elements of Texas helps you maintain their appearance and value. 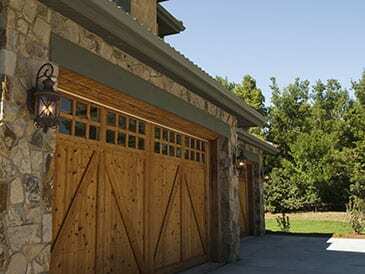 When your garage door is broken or outdated, you need to schedule garage door repair quickly so you can continue to keep your cars and motorcycles out of the harsh Texas heat and humidity. Action Garage Doors is here to help you when you need our services in Mission Bend or in the surrounding area. As a garage door repair company that is committed to customer satisfaction, nobody beats Action Garage Door. Our family-owned business has been satisfying customers for 30 years and we are waiting to help you find the services you need for your garage door in Mission Bend. We perform our work in accordance with all applicable local codes and our doors can handle the elements for years. If you have had bad experiences with repairmen in the past not following local building guidelines, do not worry when you call us. We are fully licensed and insured and our employees are trained in all manner of garage-related problems and setbacks. Modern garage doors can be extremely heavy, and when you need to drive your car to work, it is essential that you are able to get your garage open when you need to. This is why we provide our emergency services within one hour of your call. This helps you get going with your day without needing to worry about getting in and out of your garage. Keep our number handy just in case your door’s spring breaks, its opener malfunctions, or it is otherwise unable to open. We will have it sorted out as soon as possible. Action Garage Door is proud to serve our communities and always strives to provide 100 percent satisfaction. To speak with the closest office to beautiful Mission Bend, call us or fill out the online contact form. We will respond ASAP and provide just the garage door repair you need to get going with your day. Action Garage Door serves residents in all areas of the greater Houston area, including homeowners and residents of the International district of Mission Bend. Whether you need minor adjustment or major repairs, just give Action a call and you can be sure your needs will be addressed quickly and professionally. Mission Bend is an area in the Houston zone that is non-incorporated and not a part of the city, but within the the extra-territorial control of Houston. It is located approximately 20 miles southwest of downtown Houston, but only four miles from the center of Sugarland, a major player in the metropolitan population area. Mission Bend is operated under state legislative rules as an international management district. Encompassing about 12 square miles in area, residents of Mission Bend enjoy median household income levels that are higher than state and national figures, but the per capita income is 26 percent lower than the national average. The figure for owner-occupied households is about $6,000 lower than state and national averages, but it is higher than comparable numbers of renter-occupied households. An anomaly — or is something else at play in the area? The discrepancy between earning for males and females is quite low, and the unemployment rate is also lower than corresponding state and federal numbers. One of the best amusement parks in the area is Fun Plex at Mission Bend! The whole family is sure to have fun there. The district levies taxes on local firms to support international business and trade, and to pay for local beautification projects. An international trade center was established in Houston at about the same time the district was created. Median price of a home in Mission Bend is about $113,000, and the average household size is 3.4 persons, higher than average for the both the Houston area and the state. Owner-occupied households account for almost 80 percent of the housing stock, while the rest are occupied by renters, with median rents paid 42 percent higher than the national average. Local students, depending on their residency, attend classes in the Alief Independent School District or Fort Bend schools. There are only scanty details available to support residents’ achievement in school, but the majority of local residents do not hold college degrees. Local cost of living is quite low compared to much of the Houston area.